Additional Info: Pillows and quilts are provided, just bring your own linen and towels. 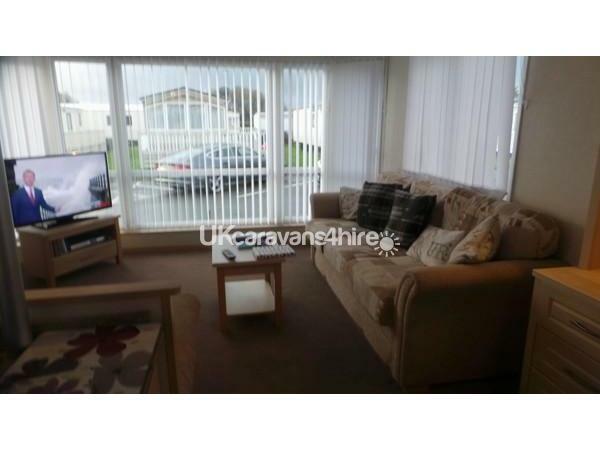 The caravan is central heated and has double glazing. 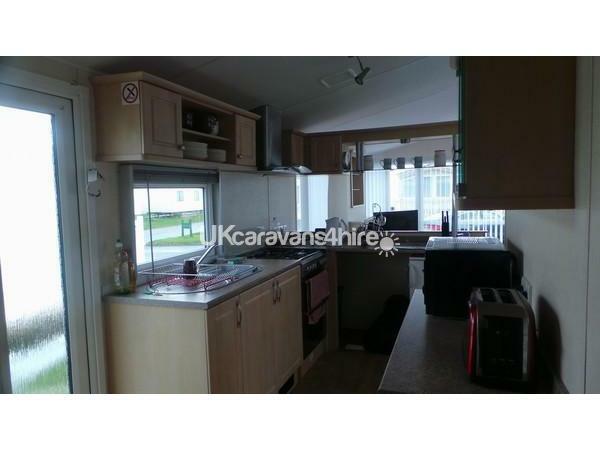 This is a spacious and comfortable caravan that has 1 double room and 2 twin bedrooms. The beds in the twin room can easily be moved to make space for a travel cot. 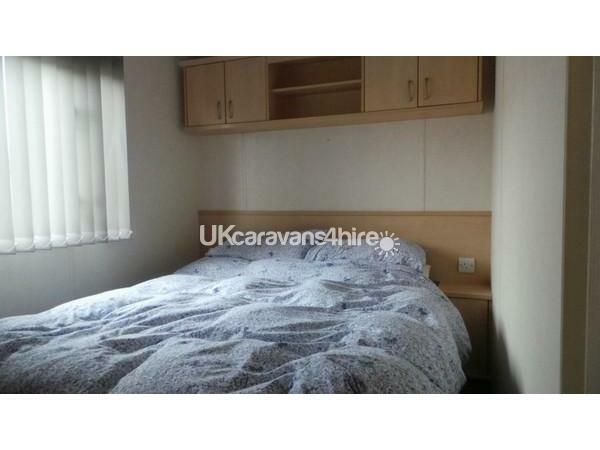 A pull-out bed situated in the living area can be used for a further 2 people if needed. Travel cot available upon request. 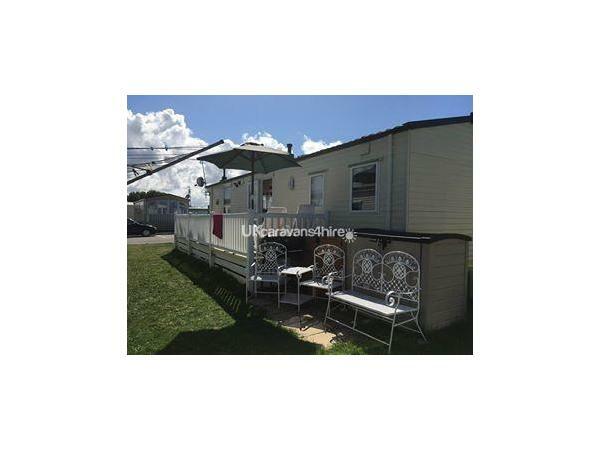 Thre is a new decking area around the caravan providing a nice outdoor area for seating. A £50 deposit will be required to secure a booking, this will be refunded as long as there are no breakages/damage. Full payment is required 4 weeks before your arrival. During low season shorter breaks are available at £60 per night, minimum booking 2 nights. During peak times bookings are for a minimum of 7 nights, and usually Saturday - Saturday. 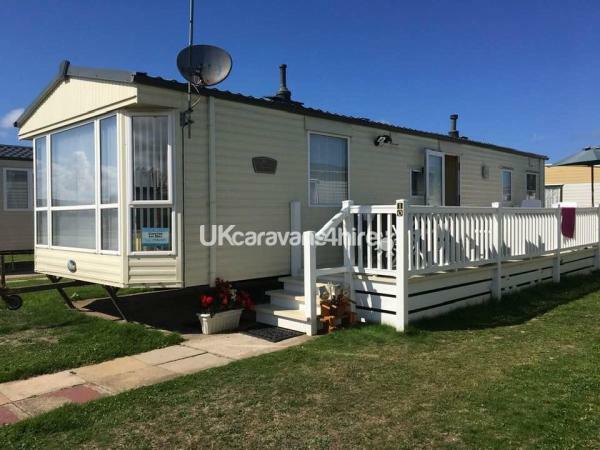 This is a lovely comfortable and clean caravan, which would be a perfect home for your family holiday. 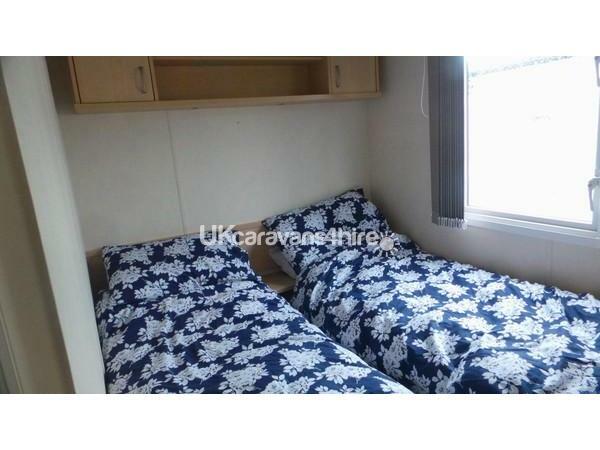 It has a large TV with a selection of DVDs to watch, quilts and pillows available for all beds. Large seating area and dining table and chairs. The kitchen is well equipped with everything you need to make yourself at home. Facilities on Lyons Robin Hood include full cabaret entertainment, kids and teens club, 3 bars including the main recently refurbished show bar and sports bar, heated swimming pools with sauna and jacuzzi. A new gym area was recently added in 2015 with a selection of cardio machines and free weights. A new crazy golf course was added in 2017. There is a large arcade area with snooker and pool tables. During peak season a children's entertainment programme keeps little ones busy with daily activities. And evening entertainment is provided in the family bar, cabaret bar and at weekends you can enjoy a bit of karaoke in the Irish bar! 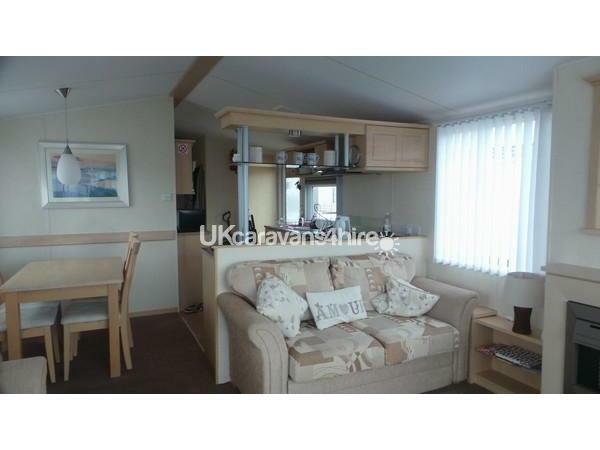 Lyons Robin Hood is located opposite Rhyl golf club and a 2 minute walk to the beach front. Also within walking distance to Rhyl or Prestatyn, both towns offer a variety of shops, bars and entertainment. including The Sealife Centre in Rhyl. There is a bus service outside the holiday park which runs to Rhyl and Prestatyn towns. Lyons Robin Hood passes can be purchased at a cost of weekly Adult £15, child £12 or family pass for up to 8 people at £45. Please note children under 3 don't need one. Additional Info: Kids club, cabaret club, Irish bar. Coffee shop, soft play area, play park, chip shop, ball courts, crazy golf.